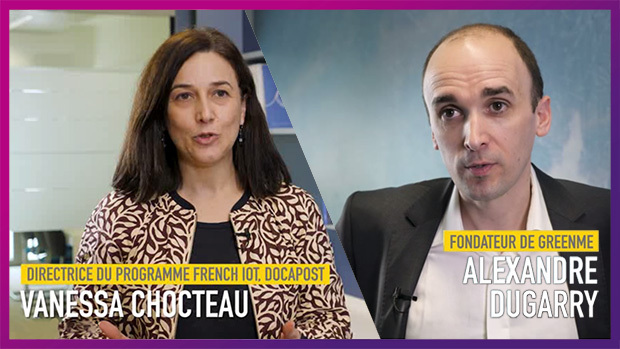 La Poste has established itself as an influential player on the French tech market, particularly through the French IoT programme. Having presented the digital innovations it has developed alongside a number of French start-ups (read our article here) at CES Las Vegas 2018, the company will naturally soon take part in Vivatech, the European summit for all things innovation, to be held in Paris between 24 and 26 May 2018. The company will be joined by start-ups with whom they have established close links on a range of innovative projects. In six videos, across six different interviews, you can discover where concerns and values overlap within this vast group of interests that are seeing constant transformations, as well as start-ups that are looking to industrialise a concept and succeed within a vast market. A leader in collaborative financing in France, KissKissBankBank became a subsidiary of La Banque Postale in June 2017 (read the press release here). Since March 2017, Stuart, a rapid urban delivery platform, has been wholly-owned by GeoPost, the express parcel delivery subsidiary of La Poste Groupe both in France and internationally (see all their latest news on the GeoPost website). Designed by ACA-O, GreenMe is a small connected cube capable of measuring ten environmental variables in the workplace (including noise, temperature, air quality, lighting, etc. ), as well as monitoring and analysing the data. GreenMe is part of a package of connected objects that come together to create the AtWork solution from La Poste (see a video presentation on YouTube here). Bear worked with La Poste to jointly develop the Courrier Plus mobile app, which is central to La Poste’s enhanced postal delivery model. With Courrier Plus, paper-based documents are now all stored on smartphones, pushing customers towards a single digital experience (download the app). Now a subsidiary of La Poste following its merger with the start-up Logiroad, Geoptis provides local authorities with an audit of their road networks using video recorded during mail carrier rounds, with the help of a device installed on their vehicle (visit the website). Helping people make donations without spending any money and simply by looking at adverts (where it’s the advertiser who funds the donation), that’s the innovative concept behind the start-up Goodeed, now a subsidiary of KissKissBankBank (read the press release here).